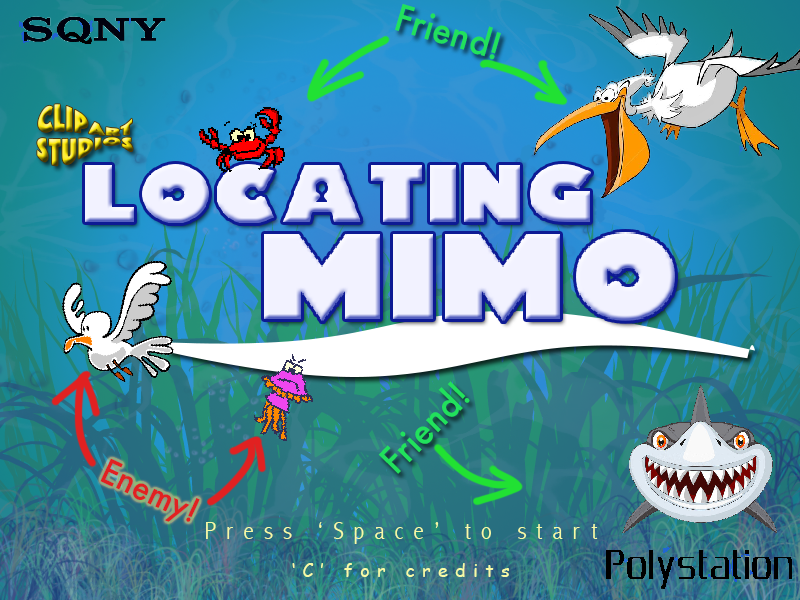 Locating Mimo was made in the Global Game Jam 2015, at the GGJ SAE, London, United Kingdom, by Yole Quintero and Ciro Durán, under the theme “What do we do now?”. In a bootleg version of a certain movie, we imagine the fate of some fishes that managed to escape certain death at the hands of a little girl, niece of a dentist. They’ve escaped their aquarium by making it very dirty, which makes the dentist to put the fishes in bags while he cleans their place. At this moment, the fishes seize the moment to escape rolling towards the sea. 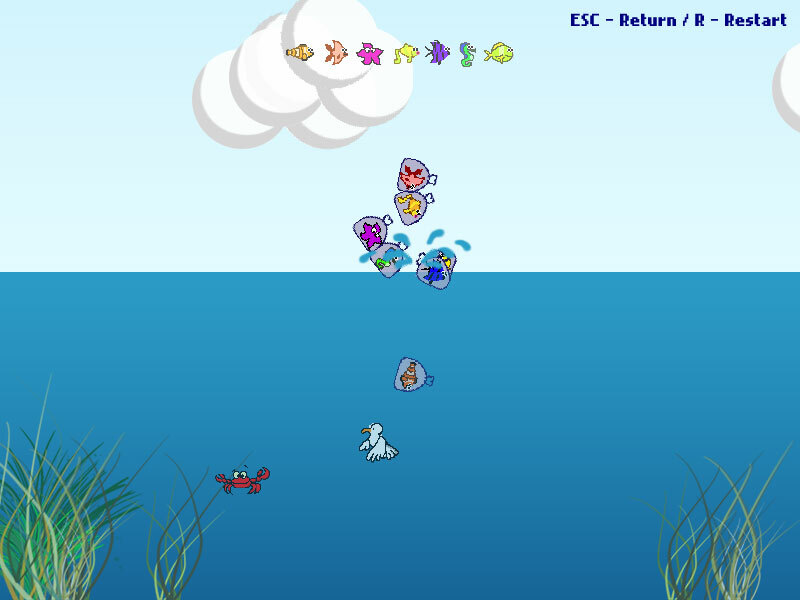 Once there, the fishes must break their bags by getting help from the friendly sea fauna, whilst avoiding the malicious animals. Made with HaxeFlixel, OpenFL, Haxe and Nape as physics library, pointing towards the Adobe Flash platform. January 2015.